OMG, get ready for the yummiest popcorn ever! The new flavour from Cobs Popcorn pays homage to the bustling metropolis and legends of the famous American city, Chicago. 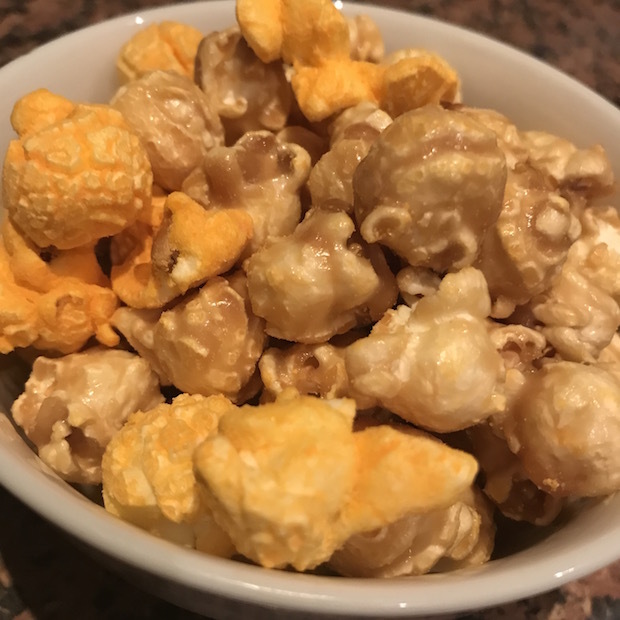 It features a delicious blend of sweet, buttery caramel and extra tasty cheddar cheese popcorn…and it is super yummy! 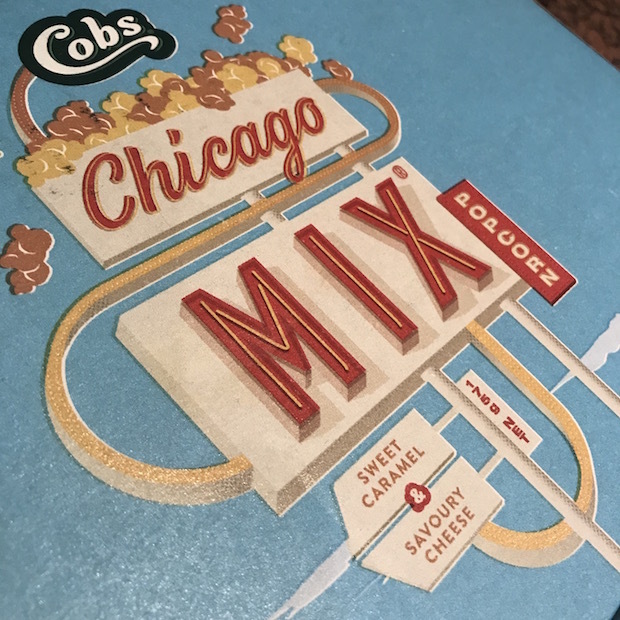 The new Chicago Mix from Cob’s Popcorn is so delicious it disappeared in lightning speed when I opened a pack last weekend. The kids and I love popcorn and this was a mix of our two favourite flavours so once the packet was opened it just got demolished. Sweet and savoury, 50/50 mix that delivers 100% on taste. Cobs introduced this delicious new flavour to satisfy people looking for a unique flavour combo, and which reflects Australia’s changing palette. 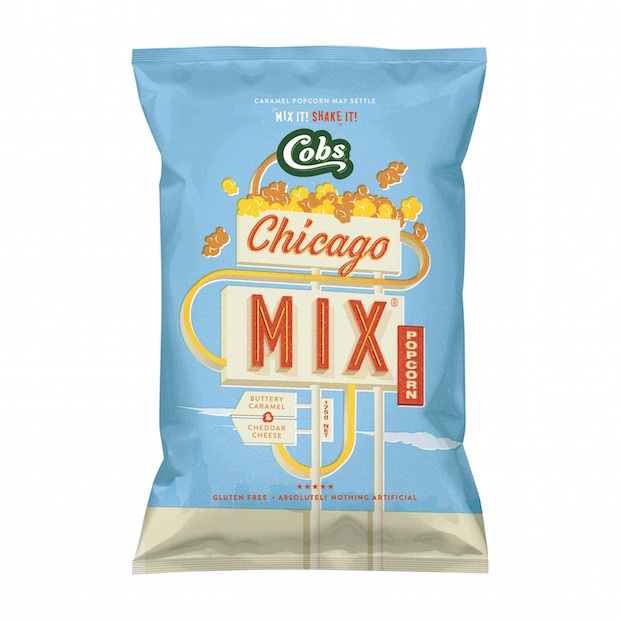 Cobs Chicago Mix is gluten free and made with natural ingredients, and joins Cobs favourite flavours like Lightly Salted, Slightly Sweet, Sea Salt and Aged White Cheddar. 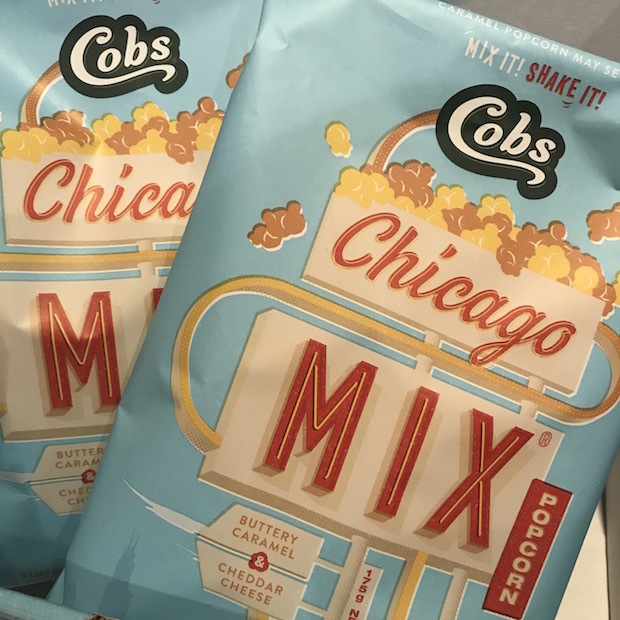 You are going to love the new Chicago Mix from Cobs and if you don’t it’s ok – more for me! Cobs’ Chicago Mix is available in a 175g size and is priced at $4.75, you can find it at independent grocers and other specialty retailers. The entire range of Cobs Popcorn flavours can also be purchased online at www.cobs.com.au. 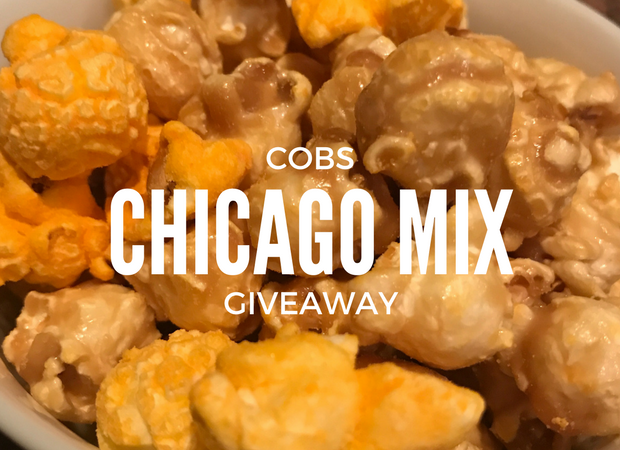 I have three Cob’s Chicago Mix Popcorn prize packs to giveaway! To enter: Tell me in 25 words or less which popcorn flavour combo you would make and why? Competition closes 22 July 2017, full T&C’s can be found here. Tropical Mango madness with slightly salted caramel..dreams of lazing on a tropical beach, then having a salty dip in the ocean. Aged White Cheddar sounds great and a little bit different. Smoky BBQ and Cheese – what a delight! Mmmm, Cobs Popcorn – get in my tummy!! I’d love a sweet popcorn, perhaps Mango and Passionfruit! Heavenly mix of mint chocolate popcorn and caramel. My ultimate cinema combo – popcorn and choc top combined! These popcorn’s look amazing! I’m a savoury girl myself so I would love to try a salt and vinegar popcorn (I think!). Sea Salt and Extra Butter simple and Yummy!! Would be a perfect combination for late night movie watching. Rosemary and chicken salt. All my favourite salty chip flavours in one! Salted Caramel (I know, such an on-trend cliche!) and macadamias. I love wasabi and pea combination and I think this would be great in a popcorn range. Coca Cola Popcorn as they together a dream at the cinema so may as well combine the two together in one beautiful flavour. Avocado popcorn as they’re my two favourite foods and would be mind blowing if fused together. Chocolate Crunch for the perfect chocolate popcorn combination. Mouth watering. I would definitely love the Buttery Caramel and Tasty Cheddar Cheese. Both of these are my favourite. Love the tenderness of Caramel and of course cheese, who doesn’t love cheese. My kind of food. Yum, yum. You can’t beat Chicago mix, but Salt & Vinegar Popcorn would be pretty mind blowing. Honey and Sea Salt. A yummy sweet and savory hit plus they’re natural ingredients! caramel with a salt and vinegar mixture would be amazing. Sea Salt and Aged White Cheddar sounds like a delicious mix of modern & vintage which would be ideal to munch on in every movie ever made! Love the Cob’s popcorn range! Something for everyone! I’d make a dark chocolate and sea salt combination, so yummy! I adore “Cob’s pop corn, The LIGHTLY SALTED AND SLIGHTLY SWEET is my very favourite. Although I like them all. I can’t wait to try the new flavour, BUT I am sure it will be a big hit with me, like all the others are. Maple Bacon, the combination of sweet and salty is heavenly, just thinking about it makes me drool.